UPDATE: The entry deadline has been extended to 5 p.m. EST on Monday, March 4, 2019. WBUR and Boston University are pleased to announce this Call for Entries for the 16th annual Daniel Schorr Journalism Prize, awarded to a rising public media journalist 35 years or younger as of December 31, 2018. The new deadline for entries is Monday, March 4, 2019. The winner is rewarded $5,000 for a news story or segment — whether broadcast, podcast or published online, using any combination of audio and other media — of significance and quality. By sponsoring this award, WBUR hopes to inspire a new generation of journalists to stretch the boundaries of the medium and encourage journalists in training to choose public radio and media as a career path. As the media landscape continues to evolve, we are particularly interested in entries that use digital and multimedia platforms. 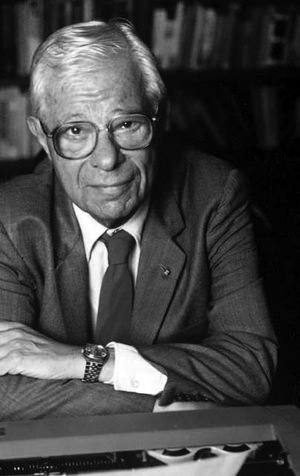 We are guided by the vision and example of the late Daniel Schorr, who gave American journalism a lifetime of commitment through his insight, intelligence and integrity. Dan was greatly honored to have this award carry his name. He believed strongly in supporting talented journalists as they rose through the ranks of the broadcast industry — particularly young journalists who have found a calling in public radio. The work honored contributes to the public media audience’s understanding of a significant issue; shows creativity and initiative; demonstrates state-of-the-art production values; and adheres scrupulously to the highest standards of journalism and broadcast journalism, including clarity of expression, accuracy, fairness and seriousness of purpose. The work may focus on any local, national or international news issue significant to the listening public. It may be in the form of a produced news story, a news feature, a documentary, a series on a single topic or an investigative report, and it may be a traditional audio story or a multimedia piece. - The journalist awarded the Prize must be 35 years of age or younger as of December 31, 2018. - A journalist seeking the Prize may offer only one submission for consideration. Group applications are not permitted; a single journalist must be principally responsible for the work submitted. - Works must have been broadcast in the U.S. OR published online OR produced as a podcast by any CPB-qualified radio station between January 1, 2018 and December 31, 2018. This form confirms the date of broadcast or digital publication and certifies that the work is substantially that of the nominee. It must be signed by a general manager, program director, news director or web editor of a CPB-qualified radio station, network or program. - Journalists may submit their own work. Alternatively, works may be submitted by general managers, program directors, news directors, producers or web editors of CPB-qualified radio stations; personnel supervising news programming at NPR, PRI or other networks providing programming to the public radio system; or independent producers providing programming to the public radio system. - No journalist employed by WBUR is eligible for the prize. Incomplete applications will not be reviewed. - Applicants are welcome to share a modest amount of the news coverage generated by the work if the work is felt to have greatly impacted a listening audience -- e.g., news photos from a station’s website or program guide. A panel of judges made up of distinguished journalists will evaluate all Schorr Prize entries. No officer or employee of WBUR is eligible to participate in the panel. Judges’ names and affiliations will be posted at wbur.org.